As I have said I am keen for progress to be made on the proposals for new schools in the West End. I want the best educational facilities possible for the young people of the West End. I note the response given in the Courier by a spokesperson however I think that this somewhat contradicts what the Scottish Government said when it gave permission to progress the project. The Scottish Government appear to be looking for a dedicated area marked out as sports pitches, whilst that does not necessarily require a fence to be built around the pitches such changes would clearly change the nature of Victoria Park. I reiterate my plea for the community in the West End to be involved in discussions about these proposals. The park is well used and much loved, the people who use the park should be asked about their views. I understand that in the 1960s the park was used by Lawside Academy but I would imagine that in terms of PE provision things have moved on since then. There are also different approaches to child protection and health and safety in the twenty-first century. It is clear that progress needs to be made and I am reassured that meetings will take place early in the new year. Clearly though the City Council must listen to the report which it caused to be written by the HMIe which calls for more consultation and for dedicated sports pitches to be laid out in Victoria Park. Please see below paragraph 6.2 of the report by HMIe,. A map of Victoria Park produced by Dundee City Council's Leisure & Communities Department which shows a bowling green , tennis courts, play areas and rose garden as the current features of Victoria Park can be found here. Monday evening saw the last meeting of the Development Quality Committee for the year. The agenda can be found here, the agenda was pretty brief in comparison to previous meetings. The item on direct action at McCheyne Church was withdrawn because the owners have taken some action, indeed I saw this work going on last week. I think everyone agrees that it would be good to find a long-term sustainable use for the church building (although this is not without its difficulties.). Today I expressed my ongoing concern about proposals to use Victoria Park for physical education classes for the proposed new schools in the West End. I am concerned that the Leisure and Communities Department of the City Council know nothing about the plans to use Victoria Park for school use. If these new schools use Victoria Park then this will change the nature of the park. This proposal needs to be examined in great detail before it is brought forward. Victoria Park is popular with local people in the West End and is well used. Using part of it exclusively for educational purposes may impact on local people's use of the park and I want to be sure that their views are taken on board as well as the views of the educational stakeholders. I have read the report approved by the City Council's Education Committee (274-2009) which sets out how progress will be made on this proposal and at no point is Victoria Park mentioned I would like to know where this proposal came from? If the City Council's Education Committee is not in charge of education policy I would like to know which organisation is? When asked in November about these proposals I was informed by the Director of Leisure and Communities that he knew of 'no such plans'. At the last meeting of the Leisure, Arts and Communities Committee on 7th December the Convener stated that there were no plans to divest the department of any parks. On Friday evening I attended the opening of the latest exhibition at the DCA. This is called No Reflections and is by the artist Martin Boyce. 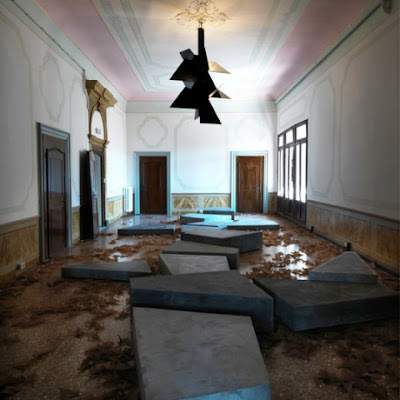 To find out more about the exhibition click on the picture opposite which shows the exhibition as it was staged at the Venice Biennale earlier this year. I enjoyed the exhibition and I will try and visit it again during daylight and when it is a bit quieter. It is well worth a visit. I am a Director of DCA, appointed by the City Council and I am delighted that this show was chosen to represent Scotland in Venice. It is great that the Scottish Arts Council is aware that Scotland is more than Glasgow or Edinburgh and that artistic excellence can be found and appreciated in other parts of Scotland not least of which is Dundee. I am delighted that this exhibition has played its part in ensuring that Dundee's name is known, recognised and promoted far beyond Dundee. The exhibition is on at DCA until 14th February 2010, click on the picture for more details. The Scottish Government has given a qualified approval for the proposals for two new schools and a nursery at the Logie site in the West End. Along with my colleague Laurie Bidwell I have responded to this announcement. It is essential that there is now effective consultation. This evening I attended a briefing on the White Ribbon Campaign. The White Ribbon Campaign is about ending male violence against women. This was a very interesting event and there were elements of it which were very troubling. To find out more about the campaign click on the picture to visit the White Ribbon Scotland website. The White Ribbon Campaign is for men to pledge never commit, condone or remain silent about violence against women. I have signed the pledge and I will be asking the City Council what it can do to promote this campaign across the city. On Wednesday the Chancellor Alistair Darling delivered the Pre-Budget Report in the House of Commons. To find out more about it click here, or here. The Pre-Budget report aims to protect frontline services - schools, police and the NHS - to invest in growth and halve the deficit fairly in 4 years. 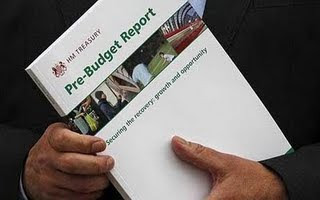 The Pre-Budget plan outlines how Labour will take the British economy out of the downturn fairly and sustainability - avoiding the dangerous, damaging and immediate cuts proposed by the Conservatives. On Tuesday I attended the AGM of the Dundee Citizen's Advice Bureau. It was good to hear about the excellent work which they do to help fellow Dundonians. To find out more visit the Dundee CAB website. Everyone who helps in this work is to be congratulated especially the volunteers. The City Council and its various committees met on Monday evening. The agendas can be found on the City Council's website. I spoke on a number of issues. The Education Committee considered an Agenda note on Harris Academy. Like everyone else I welcome investment in Harris Academy. Clearly there is a very strong case for refurbishing Harris Academy and I know that people in the West End and beyond are very pleased that this work will go ahead. I am disappointed about this agenda note. I do think that this committee requires a fuller report. Collectively we need to ensure that we are making the best use of the resources available to refurbish Harris Academy; on the basis of this agenda note I am not sure that we can make an informed decision. It is important to remember that this is at a time when the Scottish Government has been unable to deliver some of its key pledges in education apparently from not sharing the full information with the whole cabinet; I think that this agenda note leaves us in a similar position. Further on in Monday's agenda the Social Work and Health Committee approved spending £38,000 - to explain this spend there is a 3 page report. I look forward to receiving further information, it is disappointing that the Education Committee did not receive a full report. Shona Robison MSP said, 'There have been a lot of warm words, but little is being delivered.' I am sure that the Convener means to deliver more than warm words, perhaps it is Scottish Government ministers, including Shona Robison who are preventing the SNP-John Letford Administration from campaigning for Dundee. The Scottish Parliament is currently considering the Public Services Reform Bill; I called on the Convener to join me in calling for the new body that emerges from current Public Services Reform Bill to replace the Care Commission to be based in Dundee. The Leisure, Arts and Communities Committee considered a report on outdoor play, I said, 'I welcome this report which recognises how important these outdoor areas are to our city. I commend the department for taking this policy area very seriously. It is crucial to recognise as the report does the legal rights of children and young people to access play. It is also imperative that we recognise as does the report the health and educational benefits of providing good quality play and outdoor areas. I would be grateful if the officers could provide answers to a few questions. 1. What is being done to ensure that children and young people with disabilities or with access problems can access appropriate play equipment? 2. Are there any plans divest the council of public play areas? The Convener confirmed that there are no plans to divest the council of play areas. Officers told me that they give consideration to access issues when redeveloping play areas. Officers also told me that there were no clear plans about how to ensure the use of education department resources for outdoor play. I will be pursuing this further. The Social Work Committee considered a report on dementia strategy. I said, 'This report and its approach is to be welcomed. Anyone who has experienced a relative or friend suffering from these terrible conditions will know how important it is to get policy right in this area. We must give support to those with dementia and give support to their families and carers. I particularly welcome the individual focus of this report. There is no one-size fits all approach here and I welcome that. It is important to respect the independence and dignity of people with dementia. As I have said I welcome this report; its sets out ambitious targets could I ask if you are convinced that the funding is in place to deliver all these targets?' Officers assured me that they are satisfied that they can deliver on these targets. I asked the Director of Finance about the spending which had gone on so far on the West End Schools Project. She assured me that the spending so far had been on design and on geo-technical work. She also said that no further spending would go on until an answer had been received from the Scottish Government with regard to the size of the site. I supported plans to give the West End Community Planning Partnership (and the Ferry LCPP) equal status to the other six in the city. This was voted down by the administration. On Monday the Secretary of State for Scotland, Jim Murphy, visited Dundee. Jim was making a very important announcement of UK Government funding to support the Games industry in Dundee. This is a very important industry in Dundee, indeed some of the businesses associated it with are based in the West End. The University of Abertay Dundee is a leader in this important area of work. Jim McGovern played a crucial role in convincing the UK Government to support this work in Dundee. Later on Jim Murphy visited the West End ward and discussed the issues which matter with some local residents. Then there was a brief meeting with Labour activists in Dundee, the picture above shows some of those present. Tackling literacy and numeracy problems must become a priority for politicians. I was pleased to see the launch of the report and final recommendations of the independent commission set up by Scottish Labour to look at these problems. You can find more information and the final report A Vision for Scotland here. If you click on the picture you will see the BBC's report on this important issue. I will be reading the report and considering how as a local councillor I can respond over the next few days. This evening I attended the launch of a new book on the history of Dundee. Dundee: Renaissance to Enlightenment edited by Charles McKean, Bob Harris and Christopher A. Whatley has been published by Dundee University Press. This book focuses on period of Dundee's history which is not particularly well-known. History does not repeat itself but it is important that we understand history. This book is largely the work of the History Department at Dundee University which is doing an excellent job in a variety of historical topics. I am looking forward to reading this book over the next few weeks. For more information about the book visit the Dundee University Press website. Well done to everyone involved in the production of this book. I was very interested to read about an excellent speech made by Iain Gray MSP about the future of devolution. You can read the speech here, I was quite taken with the quote from Donald Dewar which Iain focused on. Donald Dewar said at the start of the first session of the Scottish Parliament, 'We are fallible. We will make mistakes. But we will never lose sight of what brought us here:the striving to do right by the people of Scotland; to respect their priorities; to better their lot; and to contribute to the commonwealth.' Donald was talking about the Scottish Parliament but his words are equally applicable to the work of Dundee City Council or the House of Commons. The picture shows Iain Gray and myself out and about in the West End. On Wednesday along with a number of colleagues I attended a workshop on scrutiny. This was a very interesting event run by the Improvement Service. It highlighted the important role that scrutiny should play right across council committees and the important role that each individual councillor has in properly scrutinising the work of the council. On Monday evening elected members and officers of Dundee City Council attended a briefing on regional sports partnerships. This was an excellent meeting and allowed us to hear about the work of Sports Development, sport Tayside and Fife and other voluntary and statutory partners. I am clear that sport plays an important role in the life of Dundee and that it is often an undervalued part of council provision. In difficult economic times it is easy to see services such as sports development as being an easy target for cuts. I think that this is a short-sighted view. We should do all we can to promote sport in Dundee. On Monday afternoon councillors were invited to a briefing on the work of Tayside Contracts. Tayside Contracts provides a range of services for Dundee City Council and Angus and Perth & Kinross Councils. They provide school meals and meals on wheels as well as cleaning services and construction work and seasonal (winter) road maintenance. It was good to hear about the money invested back in council services in Dundee. Tayside Contracts also takes its environmental responsibilities very seriously. I would like to wish everyone who is celebrating our national saint's feast day a very happy St Andrew's Day. I was delighted to join some west end schoolchildren from St Joseph's Primary School as they celebrated St Andrew's Day in St Andrew's Cathedral in the Nethergate this morning. I have written to the City Council this morning to raise my concerns that the Saltire is not flying at the top of the Old Steeple today. In October I raised my concerns about the state of the flag which was then ripped, I was told then that the flag would be replaced. I am celebrating St Andrew's Day today and one of the symbols of our patron saint is the Saltire or St Andrew's Cross flag. I am disappointed that the Saltire is not flying from its usual position in the centre of Dundee at the top of the Steeple. The Saltire has flown from the Steeple for a number of years now and it is disappointing that it is not there on our national saint's day. I know that in the great scheme of things whether a flag is flown is not the biggest issue facing Dundee City Council but I hope that it is replaced soon. I am sure that I am not alone in asking the question where's the Saltire? This morning I attended a meeting of Tayside Fire and Rescue Board's Performance Monitoring Sub-Committee. This sub-committee is charged with ensuring that the Fire and Rescue service in Tayside can operate effectively. This mornings discussions focused mostly on items with regard to internal and external audit processes. This might seem a million miles away from fighting fires but the Fire and Rescue Service can only fight fires if they have the correct resources. On Saturday morning I was delighted to go along to the Christmas Fair at Blackness Primary School. It was great to see so many local people supporting the work of a local school. I warmly welcome the publication of Scotland's Future in the United Kingdom. This is an important document and demonstrates that the Labour Government has Scotland's best interests at heart. These are exciting proposals. Labour is committed to stronger home rule and to ensuring that Scotland prospers within the United Kingdom. I am regularly contacted by constituents who complain about graffiti in the West End. Over the summer there was a great increase in incidents of graffiti. The Local Community Planning Partnership in the West End is looking for ways to combat this problem. There was a meeting tonight of local councillors and local people looking at dealing with this. Hopefully we will be able to demonstrate our concerns about graffiti and takes some practical action in the not too distant future. I am clear that graffiti should not be tolerated and that action must be taken against low-level graffiti in order to prevent its spread. This morning I attended the Dundee City Council Social Work Department's Recognition and Awards Ceremony. This event in the West Park Centre recognised those members of staff who had undertaken training over the last year. It is important to recognise these efforts by staff, especially when they have completed these studies whilst still doing their 'day' jobs. Ensuring that staff are well trained and motivated is very important issue. A well trained and motivated staff will contribute to providing the best service possible for those who need the services of the Social Work department. As a councillor I have a duty to ensure that those vulnerable people who need the services of the Social Work Department receive the best service possible. Tonight I attended the concert at Dundee West Church followed by the Christmas Lights switch on at Seabraes on the Perth Road. It was good to see that some traditions are sacrosanct. The concert was excellent with contributions from Park Place Primary, Blackness Primary and St Joseph's Primary as well as Harris Academy. Well done to all the young people concerned. Rev Andrew Greaves, the Minister at Dundee West, the ever-excellent Sheena Wellington, Radio Tay's Ken McLeod and the Lord Provost also took part. It was good to see so many local people turn up and take part in this important community event. In the West End at least it is clear that we will celebrate Christmas not Winter Light Night. Well done to everyone concerned. 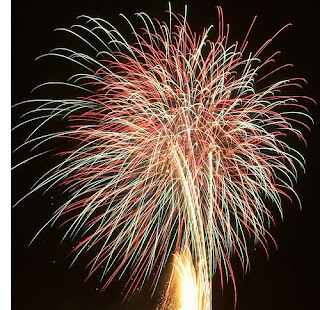 The Seabraes Fireworks website is also worth a look. Monday night saw the latest set of meetings of the City Council and the service committees, you can read the agendas here. I spoke on a number of issues at the meetings. At the Leisure, Arts and Communities Committee I congratulated the Convener on bringing forward a report which highlighted that a variety of facilities would be shut over the Christmas and New Year holidays. 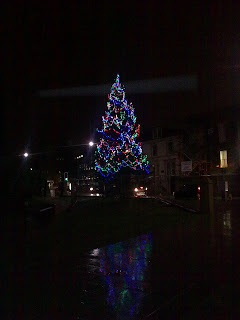 Clearly this recognised that the customers - the people of Dundee - and the staff would want to celebrate Christmas and not 'Winter Light Night.' On the ongoing saga of 'Winter Light Night' I was pleased to see my colleague Councillor Mohammed Asif's comments in the Courier and Evening Telegraph highlighting the need for common sense. There was a long discussion on the review of Council House rents. The SNP-Administration are proposing to consult on a single option which proposes raising council house rents by 4%. This proposed increase is way above the current rate of inflation. Labour tried to put forward an alternative which would have included more options, we supported a Liberal Democrat proposal which was defeated to allow for two options to be put forward. It will be interesting to see what Dundee's council house tenants make of the SNP proposal. I welcomed a report in the Social Work and Health which proposes a change to the initial way in which people receive home care. It is important to try to maintain the independence of service users. In the Policy and Resources Committee there was an interesting debate about the future of the V&A project in Dundee. This is slowly moving on. It is important that the council does what it can to promote this project but at the same time the council must be clear that there are no blank cheques. I would like to congratulate Dundee FC on their victory in the Alba Challenge Cup this afterno on. It was a great fightback. I watched the game on BBC Alba and it was very good. I am not a Dundee supporter but I think that they deserve great credit for fighting back and winning the cup this afternoon. You can read a report of the match on the BBC Sport website. There are also some interesting reports and pictures on Dundee FC's Official Website. Each year the Diocese of Dunkeld holds a Civic and Academic Mass on the Feast of Christ the King . The councils covered by the diocese are represented as are the police and fire service as well as Dundee and Abertay Universities. The Mass takes place in St Andrew's Cathedral in the Nethergate. I attended the Mass this morning. Unfortunately Bishop Vincent Logan was not able to be present due to ill-health. The main celebrant was Monsignor Ken McCaffrey. The Mass was very beautiful and the choir sang beautifully. It was great to meet many of the parishioners in the Cathedral Hall after the Mass. Monday morning's Courier has a report of this event. This morning I attended the launch of West End Christmas week. The pictures show the balloon launch, children from local primaries have put their names on the balloons and the one which makes it the furthest will win a prize. The pictures show the scene before the launch and then the balloons disappearing into the sky. I also visited the stalls at the community fair. It was good to see so many local organisations taking part. This was held in the recently refurbished halls of Dundee West Church. I also managed to visit the coffee morning organised by the Guild at Dundee West Church of Scotland. These were great community events and everyone involved in organising them deserves credit. This afternoon I took part in a meeting of the City Council's Scrutiny Committee. This committee considered a range of reports on such things as the work of the Scottish Public Services Ombudsman and the Standards Commission, as well as HMIE reports on Dundee schools (including Downfield Primary pictured above) and Care Commission reports on young persons units run by the Social Work department and a respite unit run by the Social Work Department. The Government set out its priorities for the next parliamentary session in the Queen's Speech today. There is an interesting briefing on it here. A very interesting video is also available. The Government has clearly put building Britain's future at the heart of its programme. This package will lead to smarter, reformed and responsive government. I am particularly pleased to see measures aimed at ending child poverty in this country by 2020. The bill to ban the use, production and transfer of cluster munitions is one that I welcome. The Energy Bill will protect the most vulnerable against rising energy prices and will develop low carbon energy and industry via the development of carbon capture and storage. The Financial Services Bill will reform financial services to give consumers more protection and empower the Financial Services Authority and the Government to introduce tougher regulation of banks and their risky practices to protect the taxpayer. I also think that the draft bills on House of Lords Reform and on International Development are to be welcomed. I support an elected second chamber and I have long worked for more progress toward the international commitment to spend 0.7% of gross national income on development assistance from 2013. This afternoon I attended an event where Scotland Office Minister Ann McKechin MP heard about the work of the future jobs fund. The Future Jobs Fund is a UK Government scheme which aims to create jobs for young people. It was good to see that the SNP-led Administration in Dundee is able to see the benefits of the UK in providing jobs and training. It was also good to see young people who are working hard to make the best of themselves, working hard to gain skills and experience. I would like to wish all the young people I met this afternoon all the very best and I hope that they find long-term employment soon. I have contacted the BBC with regard to TV reception problems experienced in the West End and beyond. Constituents have complained to me that they are experiencing poor reception on BBC1 on terrestrial TV. A number of constituents have raised their concerns with me about the poor quality of the reception they are receiving from BBC1. Indeed as a local resident I have also been experiencing problems with TV reception on BBC1. I have contacted the BBC, and I have been reassured that they are aware of the problems and that they have been dealt with. My constituents need to know that these problems are being addressed and that there will be no repeat of this issue. I will be keeping an eye on this and I hope that these problems have been dealt with. Tonight there was a meeting of the City Council's Development Quality Committee. There were six planning applications to be discussed. I was pleased that the derelict former NCR building next to Dundee Ice Arena will be demolished as a result of tonight's meeting. I had to declare an interest as I had given my opinion on these proposals at a meeting of Dundee Ice Arena where I am a director. It was good to hear that this cannot take place unless the mural in that building is preserved appropriately. As I have said elsewhere I attended a meeting of the Tayside Fire and Rescue Board this morning. I raised my concerns about the inclusion of plans for changes to the service at Balmossie and Forfar fire stations. My concerns centre on the fact that a very similar proposal was rejected by the board in March of this year after the public made their views known in an extensive consultation. You can read the minutes of the March meeting here. I think that it is essential that people who take part in consultation processes should know that their views will be listened to and that their views matter. I issued the press release below. Councillor Richard McCready today made known his views on Tayside Fire and Rescue Board's proposals to make changes at Balmossie and Forfar Fire Stations. Councillor McCready is a member of Tayside Fire and Rescue Board and seconded a motion today which would have deleted references to Balmossie and Forfar from this year's Towards a Safer Tayside Document. He is disappointed that this move was defeated and that a number of Dundee councillors voted against this motion. This morning I attended a meeting of the Tayside Fire and Rescue Board in Forfar. The main item which will attract attention is the issue regarding the future of Balmossie Fire Station and I will discuss that elsewhere. I raised a number of issues, on the accounts I asked the auditors if they felt that the board played a sufficient role in the monitoring spending and ensuring that public money is safeguarded. I was informed that we did but I think that it was worthwhile that they reminded the board of our responsibilities. I also spoke about the board's Single Equality Scheme and Action Plan 2009-2012. I asked 'Can I ask how we intend to monitor this important area of work both internally as it impacts on staff and externally as they impact upon the people of Tayside?' I was told that reports would be made to the board in due course and that training was available to all staff. Tayside Fire and Rescue is developing a Shared Services Initiative where some services are shared between different fire and rescue services. Clearly greater efficiency in local government is something that we should all support. 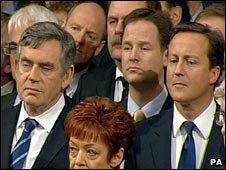 There is also a mood about for shared services right across Scotland. I think it is important we continue to have effective local democratic control of services. I welcome the report but I would say that I believe we should continue to stress the importance of local democratic control. If a decision is to be made to reduce the number of Fire and Rescue Boards in Scotland it should be made by the Scottish Government and approved by the Scottish Parliament. You can read a report on this in the Press and Journal. Many churches in Dundee have expressed their concern at the lack of acknowledgement of Christmas in the forthcoming 'Winter Light Night' event. When the proposal for Winter Light Night was discussed in the City Council I and a number of my colleagues raised our concern, you can read my speech here. 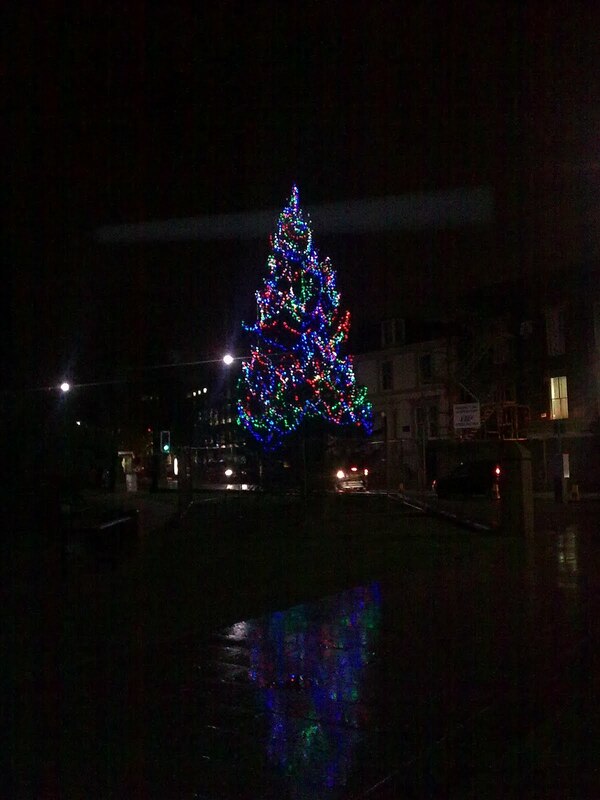 People in Dundee celebrate Christmas whatever their religious views. 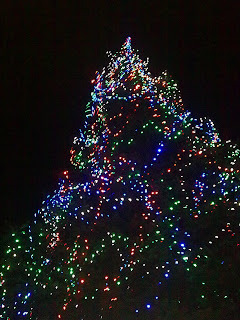 I think that it is wrong to downgrade the role of Christmas. I hope that the City Council will listen to the churches and to the other voices making their views known asking for a rethink. Well done to Willie Bain on his election as the new MP for Glasgow North East. This was a great victory for Labour against the odds. This victory demonstrates how important it is to listen to the voters and deal with the issues which concern them. To read more about this excellent victory click here. Like many other people I have been concerned to hear about the outbreak of C.difficile at Ninewells Hospital. It is important that this is taken seriously and that it is investigated and any lessons which need to be learned are learned. Clearly there is a need for greater transparency which would allow the issues to be dealt with. Marlyn Glen MSP has made her views known, and you can read them here. There was extensive coverage of this issue in tonight's Evening Telegraph. Below is a statement from Labour Shadow Health Secretary Jackie Baillie. Scottish Labour’s Jackie Baillie has criticised Health secretary Nicola Sturgeon for failing to grasp the scale of the “staggering rate” of mortality from C. difficile at Ninewells Hospital in Dundee which is a higher rate than Scotland’s previous worst outbreak at Vale of Leven. Shadow Health Secretary Jackie Baillie: “The rate of mortality at Ninewells is staggering and Nicola Sturgeon seems not to have grasped the scale of the problem. The mortality rate at Vale of Leven, which was the single biggest outbreak in Scotland, was 33 per cent on six wards over a number of months. “The Health Secretary Nicola Sturgeon has also known about this outbreak for some three weeks now but chose not to inform the public. There is no possible justification for this lack of transparency. National Express Dundee, formerly Travel Dundee, have announced changes to bus services commencing on 22nd November. The main change for the West End is a change to the Number 2 service, the details can be found on their website. Today I met with Lawrence Davie, the Director of National Express Dundee to discuss bus services in the West End. I was particularly keen to discuss the changes to the Number 2 service. This was a productive meeting. I know that the Number 2 bus service is very popular with many people in the West End, particularly the elderly. I sought some reassurance over the future of this service and I am glad to say that I got some reassurance. The service will now be a the same time every hour and I have been told that changes have been made to improve the reliability of the service. Improvements have been made to the 2S service which should make it easier for pupils from the West End to get to St John's High School. A number of parents have raised that issue with me and hopefully this will solve some of the problems which have been raised. Obviously as with all such changes the proof of the pudding will be in the eating and it will be interesting to see if these changes do live up to the claims made for them. I was happy to meet with the bus company and discuss their work in the West End. If local residents have any problems with these services once the changes have been made I would be happy to go back to the bus company to raise their concerns. This evening I attended a civic reception in honour of a group of firefighters from Dundee's twin town of Nablus in Palestine. A visit has been arranged by the Fire Brigades Union and the STUC to allow the firefighters to look at the work of firefighters in Scotland and to offer some training. The firefighters have undergone training at the Scottish Fire Service College in Gullane (the picture here shows one of the training sessions). They have also undergone some training at Tayside Fire and Rescue's urban rescue centre at Perth. This is a good opportunity for these firefighters to learn about how firefighters in the UK work. Hopefully they will be able to pass on some useful lessons on their return to Nablus. The FBU's website has interesting information on this visit. The FBU, the STUC and the fire authorities which have made this visit happen should be congratulated. This morning along with colleagues on the council and a large number of Dundonians and many of the women who were attending the STUC Women's Conference I was in the City Square to observe the two-minute silence to mark Armistice Day. It is important that we remember the sacrifices which have been made by our armed forces. A video of the short service is available on the internet. To support the poppy appeal click here. Tonight I attended the November meeting of the West End Community Council I look forward to these meetings which provide an opportunity for me, as an elected local councillor to listen to the concerns of local people. The main part of the business was a presentation on the work of TACTRAN , the Tayside and Central Scotland Transport Partnership. This presentation focused on interesting policy issues such as demand responsive transport, a local train service from Arbroath to Perth and a variety of proposals for park and ride schemes. Today I attended, as a visitor, some sessions of the STUC Women's Conference which took place in the Caird Hall. It was good to hear the conference chair Pauline Rourke, from Dundee, open the conference. I also heard a passionate speech on equality delivered by Johann Lamont. Later on I attended the civic reception held for the conference. It was good to meet a number of the delegates and to discuss the issues which concern them. Tonight saw the latest meeting of the City Council and its various committees. To read the reports and see the agendas click here. There were a number of interesting and important reports discussed. As a Director of Dundee Leisure, appointed by Dundee City Council, and a huge fan of our library network I was delighted to see a report which will result in the refurbishment of the roof at Lochee Leisure Centre and Neighbourhood Library. 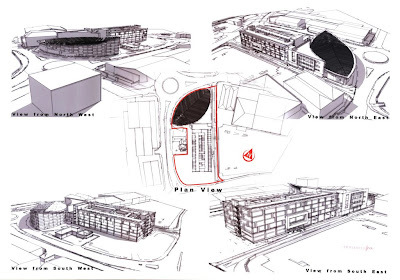 I hope that this will be an excellent base for the regeneration of Lochee. I know that Lochee Leisure Centre and Lochee Library are really popular both in Lochee and indeed across the city. I am delighted to see this investment coming forward. I have raised my concerns about the future of the former Tay Spinners site or Queen Victoria Works in Brook Street in the West End. This was one of the last jute mills working in Dundee. The picture here shows the mill from Brook Street or the Scouringburn and is from the Scran website. 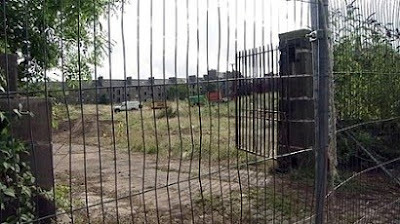 The site has been derelict for nearly twenty years. There has been a lot of regeneration in the area and a number of former mills have been used in very interesting ways to bring them into modern use. As a historian of nineteenth century Dundee I think that it is important that we preserve links with Dundee's fascinating heritage in the jute and textile industry. It is also important to ensure that we find a sustainable and long-term use for this site. The Evening Telegraph tonight published my thoughts on this together with other local councillors. In the meantime this site is still on the buildings at risk register of the Scottish Civic Trust, click here for more details. This morning I attended the short service of remembrance at the War Memorial outside St Joseph's Church in Wilkie's Lane. It is sobering to look at the long list of names on that memorial and think that those men all came from the West End of Dundee. It was also sobering to think that their sacrifice is being remembered over 90 years on from World War I. It is important to remember that sacrifice and it is is important to work for a world where no more young men, or women, are giving their lives. To support the poppy appeal click here. This morning I was pleased to attend a coffee morning at Morven Terrace Sheltered Housing Complex. It was a great to attend this event and get the chance to catch up with residents about their concerns and in most cases just to have a chat. Well done to everyone involved in organising this event. Tonight I attended the Bonfire and Fireworks display at Lochee Park. As usual this was a great night. This is really well done and everyone involved in the organisation of the event deserves credit. This is the place to celebrate Guy Fawkes Night in Dundee, along with Baxter Park. This is a safe family occasion. I hope that Tayside Fire and Rescue have a quiet night tonight. It is good to celebrate Guy Fawkes night but it is important to do so safely. Tonight I attended a meeting of the board of DCA (Dundee Contemporary Arts). This was a very interesting meeting. The current exhibition by Thomas Hirschhorn, It's Burning Everywhere is on until 29th November. As I have said before it is well worth a visit but don't just take my view for this read this review from Scotland on Sunday which is very positive about the exhibition. Funding for the replacement of the Olympia Sports Centre in Dundee was announced today by sportscotland. The drawings above are impressions of how the new pool might look once it has received all the requisite permissions. I issued the statement below welcoming this funding from sportscotland. Scottish Labour spokesperson on Leisure, Arts and Communities on Dundee City Council, Councillor Richard McCready today welcomed the announcement of funding from sportscotland to allow the project tot replace the Olympia Swimming Pool to continue. I am calling for action over parking at St Joseph's Primary School. A number of concerned parents who are worried about parking on Bellfield Street at the beginning and the end of the school day have approached me, these parents are also concerned about the state of the alternative car park at Wilkie's Lane. These parents have raised their concerns with me about road safety in the vicinity of St Joseph's. I am obviously aware of plans to replace St Joseph's but that is a few years away at least action is required now to protect the current pupils. I have contacted the Depute Chief Executive of the Council, Miss Patricia McIlquham who was responsible for a pilot scheme at Park Place Primary and at Eastern Primary. I want to know if there were any lessons learnt in the pilot and whether any of these could be applied to St Joseph's. I have also raised the issue with the Director of Education and asked what his department can do in this situation. It is clear that the 'car park' at Wilkie's Lane is in a poor state of repair and that many people are unwilling to use it. I hope that the City Council can come up with some ideas which will improve road safety at St Joseph's. I welcome the publication of a study into community fire safety in Scotland, entitled Scotland Together. This report highlights that fire deaths in Scotland are still at double the rate they are for the UK as a whole. I'm a member of the Tayside Fire and Rescue Board. To read the views of the authors visit Strathclyde Fire and Rescue Service's website. To read the views of Tayside Fire and Rescue service firefighters click here. I welcome this report and I will be studying it in detail. The report will be debated in the Scottish Parliament on 12th November and it will be interesting to hear the views of the parliament. I think that it is important that this report is given due consideration. I fully expect the report to be discussed in detail by Tayside Fire and Rescue Board in due course. The report is challenging and we need to give serious consideration to 'reduced ignition propensity cigarettes' and new regulations for sprinkler systems. We need to ensure that there is effective education and prevention schemes in place. Last week I visited Tayside Fire and Rescue's Community Safety department and was very impressed with their work. We need to ensure that we are giving them all the support we can. I think if this report is studied and implemented we can make Scotland safer. It is important that the Scottish Government looks seriously at implementing this report. This is important for the safety of civilians and for the safety of the brave men and women of the fire and rescue service who work on our behalf to protect us. This afternoon I was happy to attend a book-sale in aid of Amnesty International held at Dundee University. I managed to find a couple of interesting books to add to my collection. Well done to all those involved in organising this event. More importantly I was happy to do a little bit to support Amnesty. Amnesty International do a great job and I have been a member for a number of years and I like to do what I can to support them. Promoting human rights is important, if you want to find out more about the work of Amnesty International visit their website. Saturday morning saw a well-attended coffee morning at Dundee West Church Hall for the Friends of Magdalen Green. The friends do a great job highlighting the excellent resource that Magdalen Green is and also protecting it against any problems. 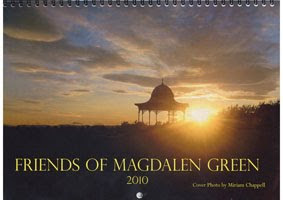 They run a photographic competition and the winning photographs make up the Friends of Magdalen Green calendar. For details of how to buy the excellent calendar please click here. The Friends website is worth a look, to find out about the other work they do. I want to pay tribute to my friend and colleague Ricky Miller who died last Saturday. 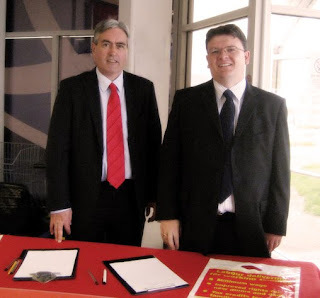 Ricky was a stalwart of the Labour Party in Dundee. Ricky served for many years as the treasurer of the party and did an excellent job. He will be sorely missed. All political parties need people like Ricky who work away to ensure that the organisation works. Ricky's views and advice were always worth listening to. 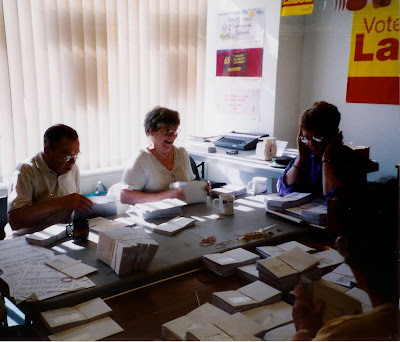 The picture above shows Ricky hard at work during an election campaign. More importantly, away from politics Ricky was a family man and will be missed by his many friends and family, especially Eleanor his wife. My thoughts and prayers are with them at this time and I shall miss Ricky. I was saddened recently to hear of the death of Jacob Chacko a restauranteur in the West End. I didn't know him personally but I do know that he made a major contribution to the community in the West end and he was responsible in some ways for the level of restaurants on the Perth Road. To read his family's tribute to him click here. West End Councillor Richard McCready today welcomed moves by Dundee City Council's City Development Department to address concerns about the traffic lights at the junction of Bellfield Street and Hawkhill. Councillor McCready raised concerns with the department after constituents noticed that drivers turning left from Bellfield Street into Hawkhill were stopping for the red light on the Hawkhill which was not meant for them. To see a map of the area click here. My officers have visited the Hawkhill/Bellfield Street junction to observe driver behaviour and did observe one driver hesitating as they made the left turn from Bellfield Street. The convention that should be followed by drivers is that they should only stop at the red light if a solid white line is present. In the example you describe the drivers are observing the secondary red signal which relates to traffic approaching from the west (Hawkhill) and should continue through the junction unless other obstructions are present. This layout is fairly standard; however, to minimise any confusion we have arranged for an extended hood to be installed on the red signal. On Wednesday afternoon I attended the graduation ceremony of the Al Maktoum Institute which was held in the Marryatt Hall. it was good to see a range of people from across the world and also some from Dundee being rewarded for their hard work. Professor Nye, the principal of the institute, outlined their vision for the future and if they are successful it will be a very exciting project. I'd like to congratulate everyone who graduated and wish the Institute all the very best for the future. To find out more about the Institute visit their website. For more about their ambitious plans click here. The Al Maktoum Institute has played a role in the community in the West End and could do a lot more if their ambitious plans come to fruition. As a member of Tayside Fire and Rescue Board I visited MacAlpine Road Fire Station to get a briefing on community fire safety. To read a little more about the work of the community fire safety department visit their website. I was very happy to get the opportunity to find out more about the work of the Community Fire Safety Department of Tayside Fire and Rescue. The work of firefighters nowadays is so much more than firefighting, they play an important role in educating people in an attempt to prevent fires. It was very interesting to hear about the range and breadth of the work which they undertake. They promote home fire safety visits and also undertake statutory fire safety work in commercial premises. It is clear that they do a lot of work in an attempt to keeps fires and fire injuries to an absolute minimum. Unfortunately we will never be able to replace the frontline firefighter who attends fires in an emergency but it is clear that lots of excellent work is being done to educate the public to promote fire safety. This evening I attended a meeting of Dundee City Disability Sports Council. This was a very interesting meeting. The Disability Sports Council is looking to buy a new mini-bus and is actively fundraising. Please contact them if you are able to help. Over my time involved with this organisation I have been incredibly impressed by the work done by volunteers to promote disabled sport and also by the sporting prowess of those who take part. Tonight I attended a board meeting of Dundee Leisure, I am one of the Directors of this company, appointed by Dundee City Council. Dundee Leisure runs excellent sports facilities across Dundee. To find out more about Dundee Leisure's services visit their website. 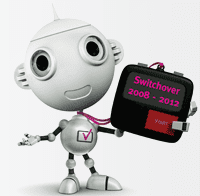 This afternoon the City Council arranged for a briefing on the Digital Switchover for TV. I have already received a briefing on this but it was good to hear the latest updates. For details please see the Digital UK website. Monday evening saw the latest meeting of the City Council and its committees, for the agendas click here. At the meeting I spoke on a number of items. As Labour's spokesperson for Leisure, Arts and Communities I spoke at that committee. I spoke about the Community Safety Partnerships Annual Report for 2008/09. This is an important report, I said, ' This report is welcome and it is important to see proper partnerships operate between all the agencies involved in making Dundee a safer place. It is important that the concerns of a great many of our constituents are looked at and are acted upon. Concerns about vandalism are really important to constituents. Clearly illegal drugs and alcohol cause many of the problems which cause problems for people in Dundee. The use of illegal drugs and the misuse of alcohol are things that we should not tolerate. I asked officers of the council what they intended to do in subsequent financial years with the Fairer Scotland Fund. This fund will cease to be ring-fenced next year and the Scottish Government has made no commitment beyond the end of the next financial year. I think that this uncertainty is a problem for the many voluntary organisations who serve the people of Dundee.